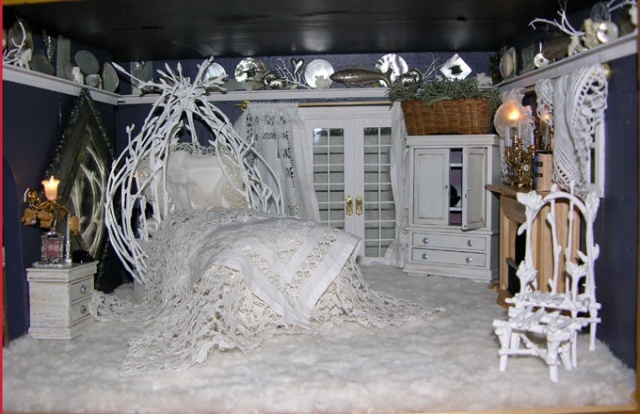 The bed and chair are made of lilac twigs and painted. Bed is covered with antique lace and handkerchiefs. Collection of mother-of-pearl objects and buttons around the cornicepiece.